Wine Slushies: perfect for girls night, BBQ's, or even book club! 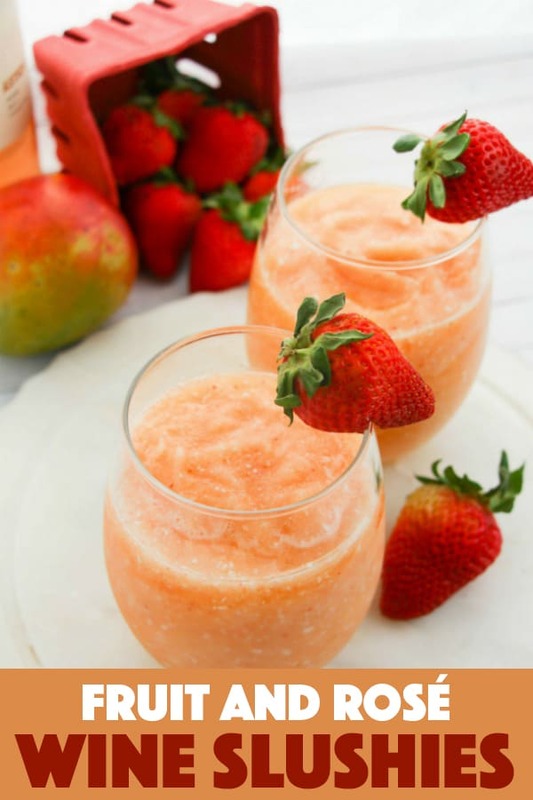 A delicious cocktail using wine, these Wine Slushies are a fun and tropical take on the frozen cocktail trend – which doesn’t appear to be going anywhere anytime soon! Ever since I first experimented with my Mojito Slushies recipe, I’ve been obsessed with these frozen concoctions. Before, if you wanted a frozen drink, you were limited to daiquiris and frozen margaritas. Those options are still delicious (and personal favorites) but the emergence of the slushy cocktail trend has exploded the options for me and my fellow frozen cocktail fans. And in the case of this wine slushy recipe, you don’t have to indulge in hard liquor to get in on the fun. 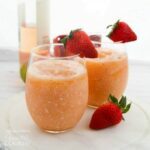 A wine slushy is a lighter take that can be enjoyed more casually and there are so many ways to play with this recipe! Swap out the rose we call for with your favorite white wine – or replace the tropical fruit medley with frozen melon! 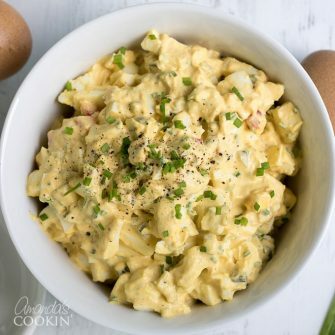 Really, all you need from us are the measurements and then you can have fun – mixing and coming up with new combinations of flavors to your heart’s content! Tip: some people like adding extra ice for texture, or sugar for sweetness. Play and adjust to your personal preferences. 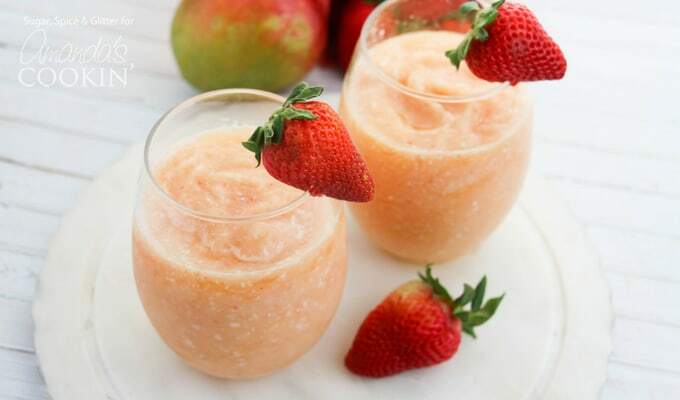 Combine half of the rose with the frozen fruit in a blender. Puree until no chunks of fruit remain. Taste and adjust with ice or your choice of sweetener, as desired. Stir in the remaining rose and serve immediately. Do you have a girl’s night or book club meeting coming up that these frozen wine slushies would be perfect for? 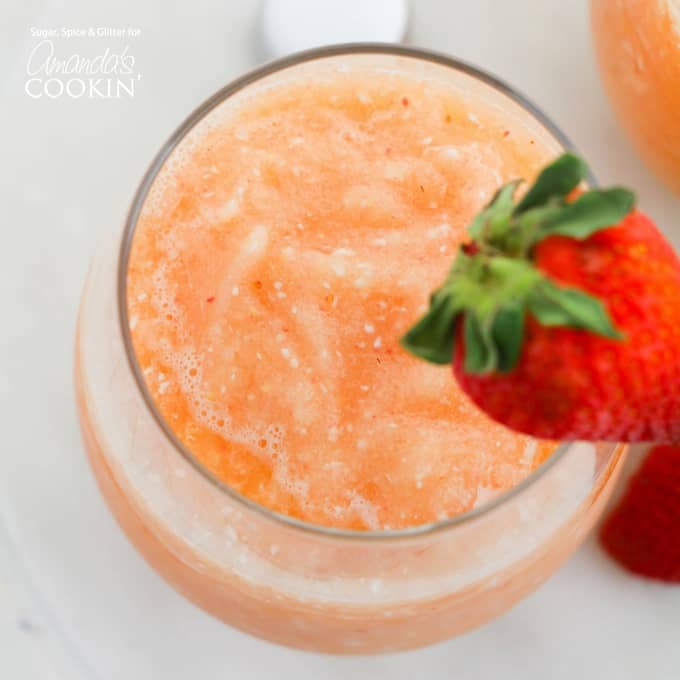 If you’re looking for even more refreshing slushie ideas, you won’t want to miss our Watermelon Malibu Slush, bursting full of summer flavor this slush is another great potluck and BBQ frozen cocktail idea. Another similar one is this Easy Bourbon Slush. With just a few ingredients, this frozen slush will cool you down on a hot day! And last but not least, for a slush recipe that’s non-alcoholic and kid-friendly, this Honeydew Lemon Slush is a favorite in both of those categories. If not able to serve immediately, store in the freezer in large ziplock bags.